Event #64: $10,000 Pot-Limit Omaha Championship began two days ago with 418 entrants putting up $10,000, the last big buy-in event preceding the Main Event. After 29 one-hour levels, only one player was left standing. Pat Walsh (St. Charles, MO) topped the field and earned his first World Series of Poker bracelet to go along with the first-place prize of $923,379. Walsh found himself near the top of the chip counts throughout the tournament. 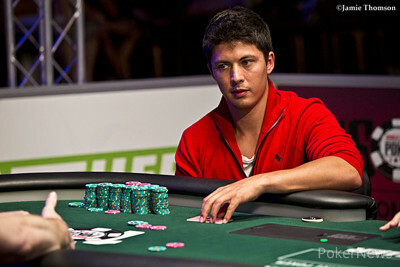 When Day 1 concluded, he was 16th in chips out of the remaining 132 players. 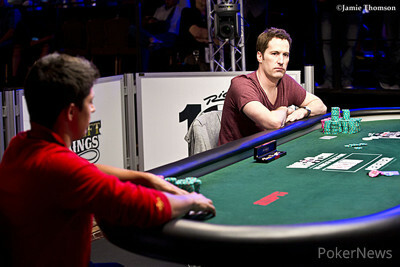 After 10 more levels on Day 2, Walsh sat third in chips with 23 players remaining. His Day 3 path to the final table was relatively easy as by the time the final two tables were reached, Walsh held the chip lead. He continued chipping up from there, eliminating Daniel Hood in 15th place and scoring a massive double elimination, sending Tom Marchese and Alex Kravchenko to the rail in 11th and 10th place, respectively. From there, Walsh held onto the chip lead for the entire final table until Javed Abrahams gave him a run for his money in the heads-up duel. Abrahams took the chip lead briefly and had a chance to close it out. Walsh got his chips in after the flop with the nut straight, but was an underdog to survive. However, Abrahams missed his many outs to close it out and 18 hands later Walsh emerged victorious. Congratulations to Pat Walsh and thank you for following our hand-for-hand coverage of his victory. Hand #164: Pat Walsh limped the button, Javed Abrahams checked his option and the flop fell . Abrahams checked, Walsh bet 200,000 and Abrahams raised the pot to 600,000. Walsh reraised the pot and Abrahams called all in for about 1.9 million. Walsh held two pair (three pair, even), but had a lot of outs to fade as Abrahams held the top half of a wrap. The turn kept Walsh ahead and when the river fell, both players studied the board for a couple of seconds before shaking hands. Abrahams finished runner up for $570,284. Hand #157: Javed Abrahams raised to 200,000 on the button and Pat Walsh called from the big blind. They checked to the turn of a where Abrahams bet 225,000. Walsh folded. Hand #158: Walsh raised on the button and took down the pot. Hand #159: Abrahams raised to 200,000 on the button and Walsh called from the big blind. The flop fell and Walsh check-folded to a continuation bet from Abrahams. Hand #160: Walsh limped on the button and Abrahams checked his option. They checked to the turn of a board where Abrahams bet 150,000. Walsh called, the river fell and Abrahams check-folded to a bet of 400,000 from Walsh. Hand #161: Abrahams raised to 200,000 and took down the pot. Hand #162: Walsh raised the pot to 300,000 and Abrahams called. They checked to the turn of a board where Abrahams bet to take down the pot. Hand #163: Abrahams raised to 200,000 and took down the pot. Hand #148 After checking his option in the big blind, Javed Abrahams check-folded an flop to Pat Walsh's bet. Hand #149: Abrahams raised to 200,000, and Walsh three-bet to 600,000. Abrahams folded. 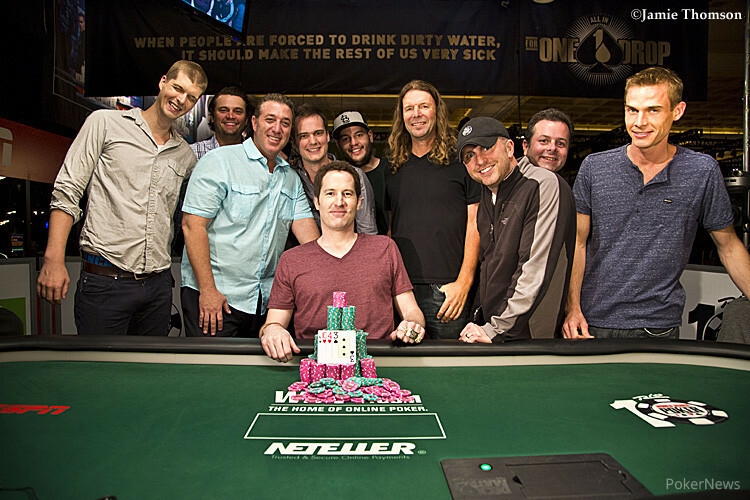 Hand #150: Walsh raised to 300,000, and he took the big blind. Hand #151: Abrahams raised to 200,000 and took the pot. Hand #152: Abrahams got a walk. Hand #153: Abrahams raised to 200,000 and took it down again. Hand #154: It was Walsh's turn to win with a preflop raise on the button. Hand #155: Abrahams raised to 200,000 and was called, and the combatants saw a flop. Two checks followed, leading to the turn. More checks, and a was the fifth community card. Abrahams bet 200,000 when checked to, and Walsh laid it down after some thought. 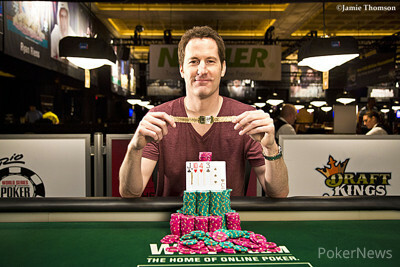 Hand #156: Walsh prompted another limped pot, and he bet 200,000 on the flop to take it down. Hand #146: Pat Walsh raised to 250,000 on the button and Javed Abrahams folded his big blind. Hand #147: Abrahams raised to 200,000 on the button and Walsh called from the big blind. The flop fell and Walsh led out for 375,000. Abrahams raised to 1.225 million, Walsh reraised the pot, and Abrahams reraised all in. Walsh called all in for 4.69 million. Walsh held the nut straight, but was an underdog to hold up against Abrahams wrap and flush draw. However, the turn and river were no help to Abrahams, locking up the double for Walsh. Walsh's reaction to the massive double up? To calmly snack on his Planters bar. Hand #139: Javed Abrahams made it 200,000 on the button, and Pat Walsh called, seeing flop. Walsh checked, and Abrahams bet 250,000. Walsh called, and a turned. Two more checks followed, and the was the river card. Walsh fired 600,000, and Abrahams quickly folded. Hand #140: Walsh limped, and Abrahams checked. Walsh won with a bet on the flop. Hand #141: Abrahams min-raised the button and was called. Two checks followed the flop, and a hit. Abrahams bet 175,000 and took it down. Hand #142: The players checked down a board for the minimum until Walsh won with a 200,000 river bet. Hand #143: Walsh got a walk. Hand #144: A preflop from raise from Walsh on the button was a winner. Hand #145: Abrahams made it 200,000 on the button and got called. Walsh bet 300,000 on the flop, Abrahams called, and a turned. Walsh slowed down with a check, and Abrahams bet 500,000. He took the pot. The players are in the midst of a 20-minute break. Hand #135: Javed Abrahams raised to 165,000 on the button and took down the pot. Hand #136: Pat Walsh raised to 200,000 on the button and Abrahams called. The flop fell and and Abrahams check-called 300,000 from Walsh to see the turn, which both checked. The river completed the board and both checked again. Abrahams won it with for jacks full of tens. Hand #137: Javed Abrahams raised to 165,000 on the button and won the pot. Hand #138: Pat Walsh raised to 160,000 on the button and Javed Abrahams called from the big blind. They checked to the river of a board where Abrahams bet 175,000. Walsh folded.